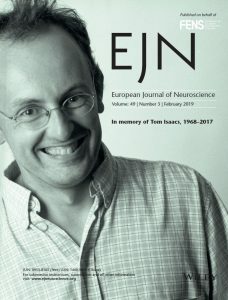 “In Memory of Tom Isaacs: The Epitomical Mover and Shaker” by Lyndsey Isaacs, Roger Barker and Eilís Dowd. “The Power of the Parkinson’s Patient According to Tom Isaacs: A Call to Action” by Soania Mathur. “The Linked Clinical Trials Initiative (LCT) for Parkinson’s disease” by Patrik Brundin and Richard Wyse. “Genetically engineered stem cell‐derived neurons can be rendered resistant to alpha‐synuclein aggregate pathology” by Patrik Brundin and Gerhard Coetzee. “The Prodromes of Parkinson’s disease” by Richard Rees, Alastair Noyce and Anette Schrag. “The clinical heterogeneity of Parkinson’s disease and its therapeutic implications” by Julia Greenland, Caroline Williams‐Grayand Roger A. Barker. 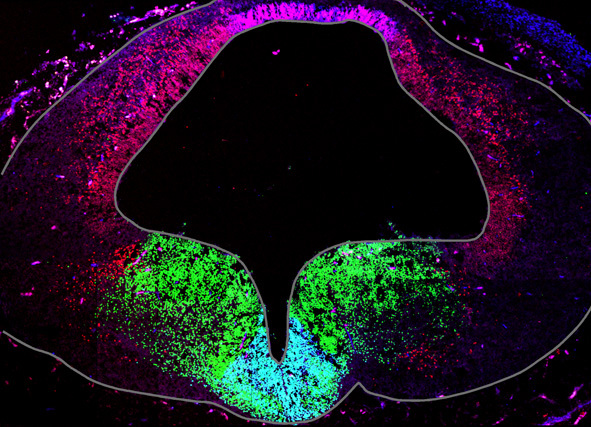 “The Unlikely Partnership Between LRRK2 and α-Synuclein in Parkinson’s Disease” by Andrew West, Emmanuel Brouillet and colleagues. “Immune system responses in Parkinson’s disease: early and dynamic” by Malú Tansey and Marina Romero-Ramos. “L-DOPA for Parkinson’s disease – a bittersweet pill” by Emma Lane. “Viewpoint: Developing drugs for levodopa-induced dyskinesia in PD: Lessons learnt, what does the future hold?” by Susan Fox and Jonathan Brotchie. “Post hoc analysis of the Exenatide-PD trial – factors that predict response” by Tom Foltynie and colleagues. “Mitral cells and the glucagon-like peptide 1 receptor: The sweet smell of success?” by Enrico Bagnoli and Una Fitzgerald. “Trophic factors for Parkinson’s disease: Where are we and where do we go from here?” by Gesine Paul and Aideen Sullivan. “Are PARKIN patients ideal candidates for dopaminergic cell replacement therapies?” by Tilo Kunathand colleagues. “Cell-based therapy for Parkinson’s disease: A journey through decades toward the light side of the Force” by Malin Parmar, Olof Torper and Janelle Drouin‐Ouellet. “Primary tissue for cellular brain repair in Parkinson’s disease: Promise, problems and the potential of biomaterials” by Niamh Moriarty, Clare Parish and Eilís Dowd. “Encapsulation of young donor age dopaminergic grafts in a GDNF-loaded collagen hydrogel further increases their survival, reinnervation, and functional efficacy after intrastriatal transplantation in hemi-Parkinsonian rats” by Eilís Dowd and colleagues. “Non-hypoxic pharmacological stabilisation of Hypoxia Inducible Factor 1α: effects on dopaminergic differentiation of human neural stem cells” by Morten Meyer and colleagues. “Engineering synucleinopathy‐resistant human dopaminergic neurons by CRISPR‐mediated deletion of the SNCA gene” by Tilo Kunath and colleagues. “Mitochondrial dysfunction and oxidative stress in induced pluripotent stem cell models of Parkinson’s disease” by Anindita Bose and Flint Beal. “Genetically engineered animal models of Parkinson’s disease: from worm to rodent” by Ludivine Breger and Marie-Thérèse Fuzzati-Armentero. “Induced pluripotent stem cell-based modeling of mutant LRRK2-associated Parkinson’s Disease” by Andreas Till, Oliver Brüstle and colleagues. ← Welcome to our new President and Board Members!